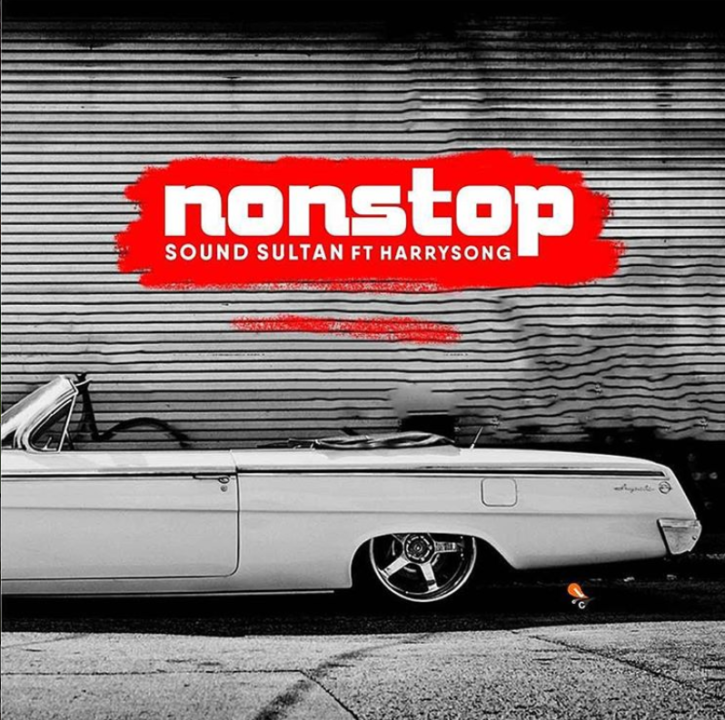 As promised, veteran music superstar – Sound Sultan unleashes another masterpiece titled “Non Stop” featuring Harrysong! Sweet melodious tune right here guys. Add to your playlist asap! 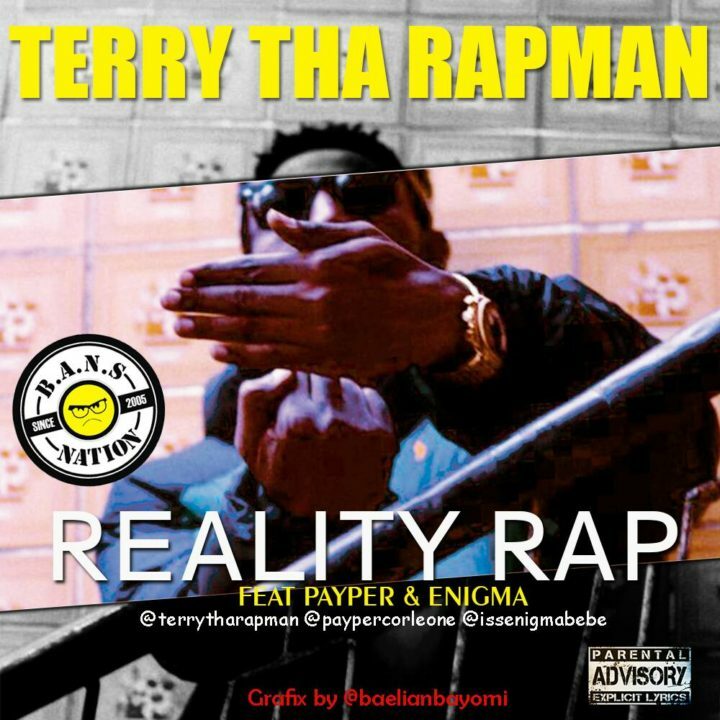 Terry Tha Rapman drops a freebie for his fans titled ‘Reality Rap‘, the Hip-Hop act says some deep and thoughtful things on this joint. The track features rappers Payper & Enigma. The song is a leak off the Joe Spazm Project hosted by the legendary DJ Jimmy Jatt. 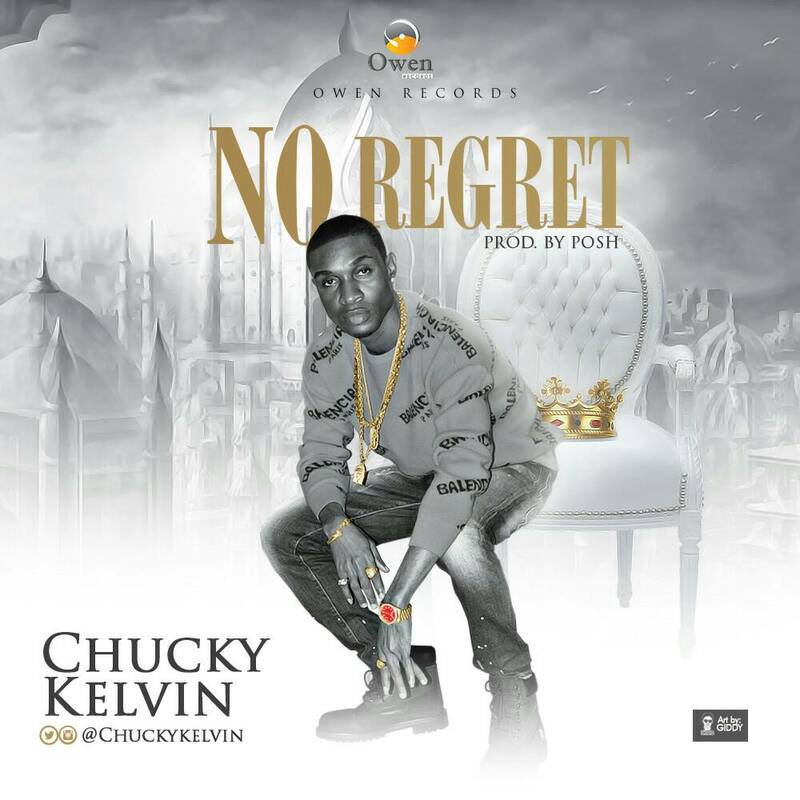 ‘Bamiwe’ crooner Chucky Kelvin returns to reclaim the spotlight with his brand new single titled ‘No Regret’. Chucky Kevin teams up with sound engineer Posh for this creation of intelligence, powerfully rendered by the burgeoning talent, mixed and mastered by Indomix. The video of ‘No Regret’ was also directed by one of the most sought-after cinematographers in Africa,Adasa Cookey who interpreted Chucky Kelvin’s constructive lyrics into a perfect flick. Ghanaian Singer, Patapaa Amisty is the artiste behind the viral “one corner” song and dance.. and in an interview with KasapaFM, He has reealed, the viral song, hasn’t brought any income of some sort to his pocket. A FITNESS-loving Instagram star has shocked social media by posting enviable bikini snaps while nine months pregnant. Given her incredibly toned tum, you’d never guess that model Sarah Stage was ready to pop. The 33-year-old, from LA, posed for a saucy selfie in a bright red bikini. She proudly held her tiny bump, which is barely visible in the image. Unsurprisingly, Sarah’s followers were very surprised by the mum’s appearance. Other fans also waded into the debate. On Instagrammer said: “I have this cute bikini…. While many were supportive of the fitness fanatic, others worried that she could be doing harm to her unborn child. Another even advised Sarah to seek medical attention, remarking: “Please see a therapist soon for your children’s sake”. This social media storm follows many others sparked by Sarah. It comes just months after she previously stunned social media with snaps showing her almost flat abs when she was five months pregnant. The new arrival will be the second baby for the LA model and partner Kris Jason, parents to two-year-old James, TheSun learnt. In 2015, she appeared on Good Morning America to defend the tiny bump in her first pregnancy and her gruelling fitness regime against critics who claimed she was putting her baby at risk. She said: “I don’t know how someone could say something like that to a pregnant woman. Made Men Music & Imo Records’ Afropop-reggae artist Ellyman recently visited Zanzibar, Tanzania along with reality TV star Tboss in what appears to be a romantic getaway as new photos taken at a beach show both superstars show off their searing bodies. One of the photos shows Ellyman shirtless as he kisses Tboss whilst she clings tight to him surrounded by water. Other photos show the two in a rocky area, dressed in black outfits with a touch of white. Reports aren’t clear if the two are officially an item or it’s simply a photoshoot taken in the luxury city of Zanzibar. The Anambra State police has arrested a metal fabricator identified as Ifeanyi Okpoko aka Anagwanti, over the death of a 16-year-old boy, Chidera Ezeanya. . According to Irukkanews, the incident occurred in Eziowelle on Independence Day. An eyewitness, Chukwudi Okafor, said the deceased, Chidera, was in his compound playing with his age mates when Okpoko called him. He said they had thought that the suspect wanted to send him on an errand, adding that when they waited till night without seeing Chidera, they went to their various houses. . According to him, the next morning, when they learnt that Chidera had not come back, they all went to Okpoko’s house in search of Chidera, only to find him tied and hung on a hand-crane. . He said; “We shouted and ran out to call elderly people in the village but before we came back, Okpoko had untied the body, put it in his car and driven out of his compound. It was later that we heard that his body had been deposited at a mortuary in Ogidi.” An octogenarian, Pa Ezekiel Uzomah, who expressed shock, said that what Okpoko did was an abomination. .
Floyd Mayweather has been on a spending spree on just about anything after stopping UFC star Conor McGregor in August to retire with a flawless 50-0 record. After throwing a quarter mil on shoes, he splashed nearly $200K on Hermes bags in addition to burning stacks of cash in strip clubs and casinos. Now, the former pound-for-pound king has giving followers every another reason to have their mouths water after he uploaded a clip of his garage which featured four sick luxury whips. The rides put on display include a yellow Ferrari, a red Lambhorghini Aventador and a black and white Rolls Royce. And in typical Money fashion, the American is now claiming he is a billionaire following his victory over McGregor, Mirror writes. The five-division world champion reportedly racked up around $700m in career earnings ahead of that fight – whose cheque he’s yet to cash. “We’ve got a lot of problems but money isn’t one,” Myweather said in a recent interview. Pregnant victim of domestic violence by a man whom she already had a baby with, has shared some graphic photos of her wounds as a result of his brutal attack. A Kenyan lady identified simply as Kidd Aj, who is reportedly pregnant, has taken to a popular online platform and posted some photos of her bloodied face, as a result of a domestic abuse by her baby-daddy.